Worst-case nightmare is fire on a cruise vessel at 80° North with people in the water far, far away from nearest assistance. Norway and Russia now team up to coordinate available Arctic resources. 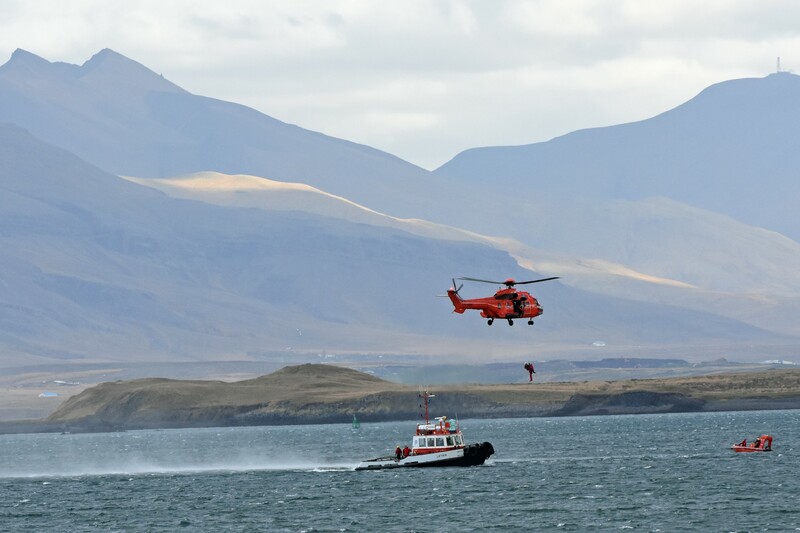 An emergency involving a cruise ship in the waters around Svalbard or Franz Josef Land could in worst case stress search- and rescue organizations beyond their capacities. «Who will coordinate and how to disseminate information between our two countries when the ‘mayday’ call comes are important questions to clear out before an accident happens,» says Bent-Ove Jamtli, Director of the Joint Rescue Coordination Centre of North Norway. «There will be bigger pressure on the resources when more cruise ships are sailing to Franz Josef Land at the same time,» says Pyotr Gerasun, Head of Murmansk Marine Rescue Coordination Centre. This week, Jamtli, Gerasun and about 80 other people from Norwegian and Russian emergency preparedness agencies met in Kirkenes on the Barents Sea coast for a table-top exercise. How to evacuate a 200-passenger vessel in icy waters in one of the most remote locations on planet earth? «I hope I’m not on duty that day,» smiles on of the participants ironically in the coffee break before the delegates start to discuss how to evacuate a cruise vessel on fire. The scenario for the table-top exercise does not involve a ship in the high Arctic, but an emergency evacuation following a fire on board a 1,000 passenger cruise-ship sailing between Tromsø and Murmansk in the no-icy waters just off the coastline. «Norway and Russia has an agreement on search- and rescue from 1995 on how to save people in the Barents Sea. It’s important with frequent drills involving rescue authorities in both countries,» says Tone Vangen, Chief of Police in Nordland and Head of the Joint Rescue Coordination Centre of Northern Norway in Bodø. Franz Josef Land and Svalbard are additional to Antarctic the areas in longest distance from civilization and possible help the day something goes wrong. Uncharted waters, hundreds and hundreds of nautical miles with nothing more than ice and isolated rocky islands. «It’s obvious that there are areas where our possibilities to save lives is highly limited,» Tone Vangen says when asked about a worst-case scenario between the Norwegian and Russian Arctic archipelagoes. In cold climate, every hour is important to save lives. If people are in the water, every minute counts even when dressed in survival suits. Mainland Russia and Norway are at least 36 hours sailing away from the two Arctic archipelagos. For the participants at the table-top exercise in Kirkenes, evacuation of the imagined distressed vessel off the coast of Finnmark and Kola Peninsula is hard enough to deal with. Where to get helicopters, boats, fire-brigades, not least to talk about how to coordinate all resources across each others borders. Air-traffic control authorities in St. Petersburg and Bodø will have to seal off the air-space for all other traffic than those involved in the emergency operation. Who to obtain diplomatic approvals for each countries’ rescue teams? Who will translate? Who are in charge? Where to bring hundreds of injured and distressed people? The list of questions coming up at the drill could fill a 10-page appendix to this article. It’s of course the captain on the bridge of the vessel who are in charge in case of emergency, but with «Costa Concordia» accident off the coast of Italy in fresh memory, a reliable coordination with the captain is not always something to trust. Well aware that melting sea ice caused by climate changes opens more and more of the Arctic for shipping, the International Maritime Organization (IMO) has developed a new Polar Code which entered into force a year ago. The code requires marine operators to provide lifesaving equipment that ensures a minimum of 5 days survival time. «That is a theoretical statement,» Bent-Ove Jamtli says when commenting on the 5 days survival requirement. «There are no survival suits, no liferaft that could keep all elderly people alive for 5 days.» Jamtli says technology simply is not there yet. «We do have a good dialoge with the cruise shipping business, and later this spring we will have a live exercise at Iceland,» Jamtli tells. Russian Arctic ships have been sailing Franz Josef Land with tourists for more than a decade. Last year, Pseidon Expeditions’ «Sea Spirit» became the first foreign flagged vessel to offer tours from Longyearbyen to the Russian Arctic archipelago. 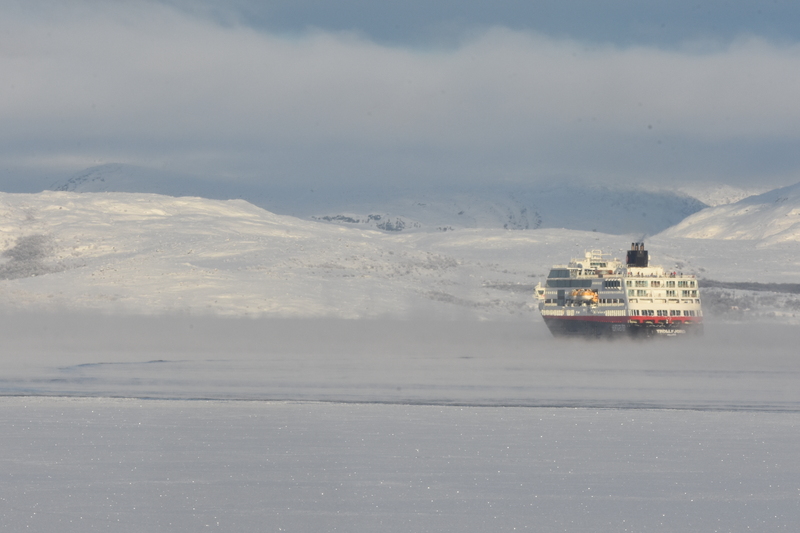 Next summer, Hurtigruten will have two voyages with their vessel «Spitsbergen» from Tromsø via Murmansk to Franz Josef Land and in 2020 Aurora Expeditions follows with a voyage circular sailing around both Svalbard and Franz Josef Land with its newest expedition vessel «Greg Mortimer» taking 120 passengers. It might seems like a paradox, but global warming opens more Arctic waters for vessels with tourists who want to see the sea ice, and maybe even a polar bear on it, before it vanish away. The willingness to pay exclusively high prices for the voyages to Svalbard and Franz Josef Land grows year-by-year. Poseidon Expedition’s two weeks voyages starts at about €8,000. Hurtigruten will cost you €5,600. As the Arctic is sailing up to be one of the most popular destinations among well-paying tourists, the industry follows. Interviewed by the Barents Observer at Iceland a year ago, CEO of Lindblad Expeditions, Sven-Olof Lindblad said mass tourism will come to the Arctic. «Tourists are coming in a big wave. Companies follow each other,» he said. Lindblad Expeditions was in 1969 the first company to get a purpose-built vessel for cruising the waters of the Arctic and Antarctic. One of the latest ships announced will sail for the French luxury expedition operator, Ponant. The cruise liner has ordered the world’s first non-nuclear cruise ship aimed at sailing to the geographical North Pole with up to 270 passengers. The cruise ship operators are well aware that safety up north is more challenging than in the Mediterranean. The Association of Arctic Expedition Cruise Operators (AECO) consists of the majority of expedition cruise companies sailing in Arctic waters. «The expedition cruise industry is already working closely with Arctic search- and rescue entities, and this network will make it possible to take full advantage of the knowledge, experience and best practices we are identifying,» says Frigg Jørgensen, Director of AECO. 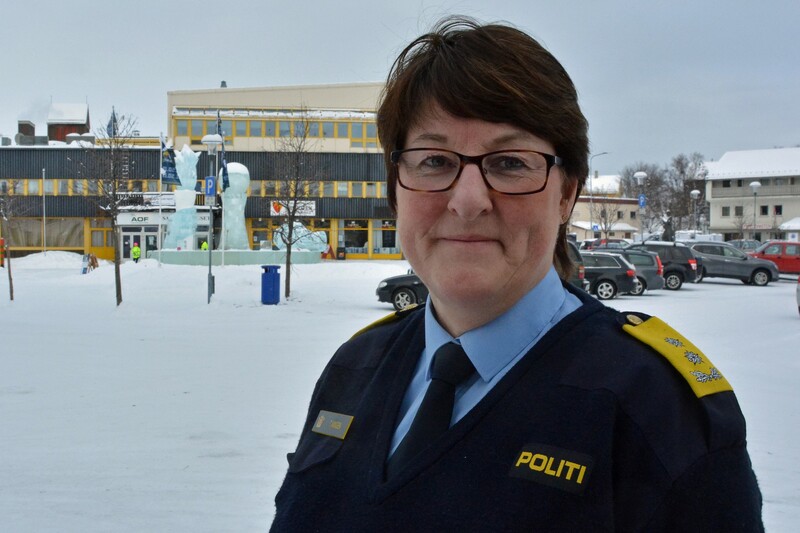 Head of Joint Rescue Coordination Centre of Northern Norway, Tone Vangen, encourage cruise ships to sail in pair when heading as far north as Svalbard and Franz Josef Land. «If they are two vessels near each other, providing assistance will be much faster and better than if a lonely ship experiences an emergency,» Vangen says. In 2007, the world’s first purpose build expedition ship for ice covered waters, the «M/S Explorer» sank in Antarctica after she hit ice. All 91 passengers, nine guides and 54 crew members evacuated to lifeboats. Although three of the four engines on the lifeboats didn’t work and started to drift, the good fortune of unusually benign weather conditions with calm seas meant no-ones got injured. After four hours, the Hurtigruten vessel «Nord-Norge» came to assistance after it had heard the distress call and took all people on board. «Nord-Norge» came at assistance long before the Chilean Navy vessel came to the site. In the Arctic, however, one challenge is that cruise liners branding their tours as „expeditions„ tries to avoid sailing in pair with other vessels. Giving passengers a feeling of being polar-explorers at unvisited destinations give a uniqueness to the tour tourists prefer. Secondly, cruise itineraries are often made two, or even three years in advance, making it harder to make pair-agreements with other cruise liners. Svein H. Lian, Communication Advisor with Hurtigruten in Tromsø, says safety always come first. «Since our first expedition voyages to Svalbard in 1896, Hurtigruten has alway put safety first. According to the Polar Code, we have gears to survive for a minimum of 5 days. This means our ships operating in these areas have both plans and equipment to manage by own until assistance arrives,» Lian explains. The fleet of nuclear-powered icebreakers plays an important role in the emergency preparednes. «We have the ice-classed vessel «Murman» in the area of Franz Josef Land,» says Pyotr Gerasun, Head of Murmansk Marine Rescue Coordination Centre. «I’m not worried, we have other vessels which can be called in as well.» Foreign cruise vessels do need guidance by Russian pilots, icebreakers or other official vessels when sailing in Arctic waters. Gerasun says the fleet of nuclear-powered icebreakers plays an important role in the emergency preparedness. «Atomflot has its own staff overlooking shipping plans for the entire Arctic,» Pyotr Gerasun assures. Cruise vessels sailing Svalbard do now need a Norwegian pilot on bridge, and ships with more than 200 passengers are not allowed to sail the Hinlopen strait and other waters east of Spitsbergen. The Director of the Joint Rescue Coordination Centre of Northern Norway puts his hope to cross-border cooperation with other Arctic nations, better rescue capacities and new technology like drones. «Satellite communication, broad-band internet, new technologies are important for our future preparedness in Arctic waters,» Jamtli underscores. Following the colder political climate between Moscow and Oslo after Russia’s annexation of Crime in 2014, there are little military-to-military contacts between the two nations. One exception is search- and rescue. At the Norwegian, Russian table-top exercise in Kirkenes, officers from the Northern Fleet were present and could assure that in case of emergency, also the powerful Russian navy can take part in rescue operations in the Barents Sea. Last spring, the Northern Fleet took a key role in «Exercise Barents» - a joint Norwegian - Russian drill involving civilian and naval search- and rescue capacities. The exercise took place in the outer Varanger fjord, where the two countries“ maritime border line goes. On May 30, a similar exercise will be arranged. … We hope you liked this article. Support independent, nonprofit journalism. For 15 years, the Barents Observer has provide serious, fact-based journalism and stories from the Barents region and the Arctic. Please help us continue to be a voice for freedom in the borderland to Russia. You can give a small support here.